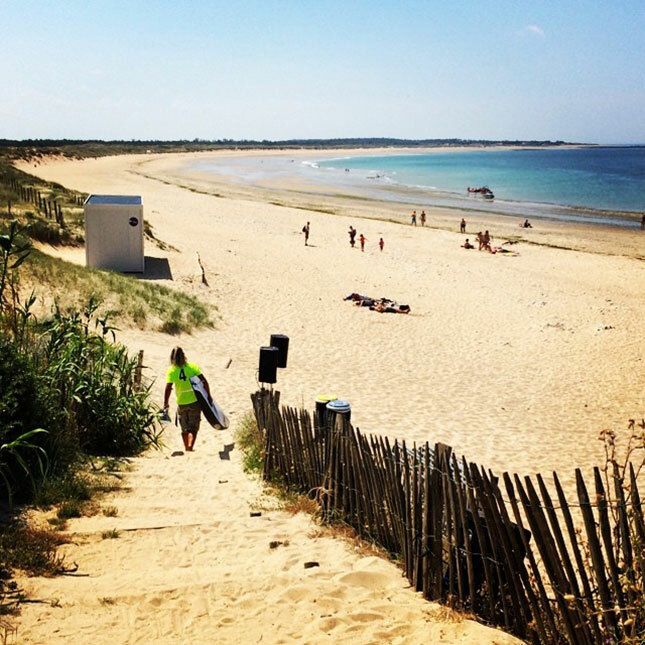 Oleron… looks like a nice spot! Euro Tour. Week 5. France. 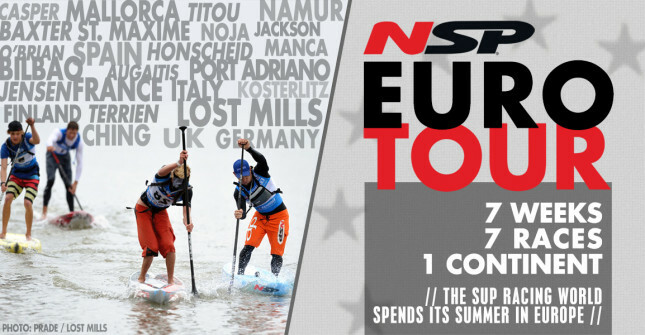 While some of us headed down here to Noja, Spain this week, a bunch of the top guys drove north to France for the Oleron Island Stand Up Paddle Challenge. On show this weekend are the likes of Eric Terrien, Titouan Puyo, Beau O’Brian, Casper Steinfath, Zane Schweitzer and plenty of other top guys. Looks like Zane Schweitzer has done it again. For the second weekend in a row, Zane has taken the overall event title. Today in Oleron Zane won the sprints while yesterday’s hero, Titouan Puyo, finished 4th, which was enough for a reshuffle at the top of the overall leaderboard. The race has literally just finished so we’ll have full results/pics/recap shortly. Thanks to Greg Closier for phoning in the results straight after the race. From all reports it was a really good downwinder, with some nice bumps the whole and even a few waves in the middle part of the run (which caused a bit of havoc). Ti2 showed once again he’s an absolute downwind machine, taking the win ahead of half a dozen other world class guys. It was also a great performance from Team France’s other representative, Eric Terrien, who overcame a bad start to motor his way through the field and claim second. Full results below. Looks like the big names were firing again. So is anyone else getting just a little bit excited about the super stacked showdown at the Lost Mills next weekend?! Almost all the guys below will be in action again next weekend in Germany, only they’ll be joined by: Danny Ching, Connor Baxter, Chase Kosterlitz, Georges Cronsteadt, Jake Jensen, Paul Jackson, Vinnicius Martins, etc etc. But in the meantime here are today’s results from Oleron. Check back tomorrow to see how the short course sprints go, which will determine the overall event placings.